Looking for some kindie tracks to chill out to this summer? The Jellydots are your guys. The Jellydots are no newcomers to the kindie music scene – they’ve released five albums in a little over five years, including the hippest lullabies you’ll hear on the Sleepin’ album. I’ve been a little slow on my Jellydots uptake but now that I have discovered them, I can’t get enough. 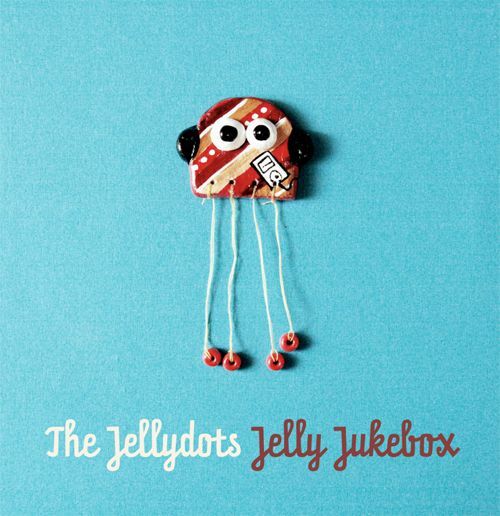 Think Bob Marley meets Simon & Garfunkel and The Police – the Jellydots’ latest album, Jelly Jukebox , is made up of laid-back tunes with a predominantly reggae feel. There are strains of R&B and some early hip hop sounds scattered throughout but the overall feel is beautifully mellow – the perfect soundtrack for lazy summer days. The first track, Adventure Quest (clip below) gives you a good indication of what’s to follow – slightly quirky reggae that you quickly find yourself humming along to. There are a number of upbeat tracks (including Rock Out, Where is my Package? and My Town), with Books! as the standout. It includes a catchy hip hop-styled “B to the double-O to K to S” chorus that is a guaranteed ear worm. It is the slower songs that I like the best. Be Like Water is the aural equivalent of jumping in a pool on a stinking hot day – instantly calming and Spiders Under My House is ironic in its delivery – you would expect a frenetic, fast paced song about spiders but the Jellydots take the opposite approach. Lastly, every mum should listen to All of Us, one of the loveliest odes to motherhood I’ve heard. Jelly Jukebox is available from iTunes for $16.99.